It’s a Fun Friday here, and we’re going to celebrate with a little dog humor. Join me! But first, if you haven’t already, enter the all natural, all USA grown and produced treat giveaway! Your dog wants the treats, and that’s where it draws the line in humor. Dog humor is nonexistent when it comes to the best treats. 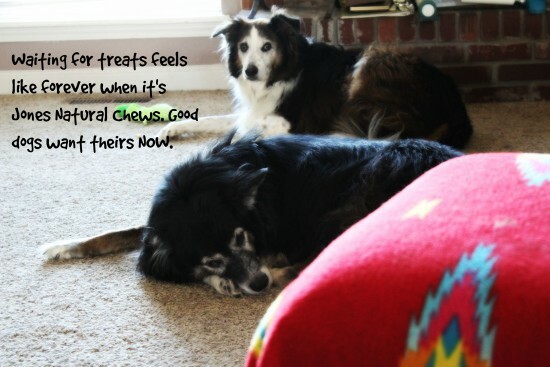 Waiting for treats feels like forever when it’s Jones Natural Chews. Good dogs want theirs now. See what I mean about dog humor? They don’t mess around when it comes to Jones Natural Chews, and I can’t say I blame them. Just like I don’t mess around when it comes to cheesecake. Don’t make me wait. 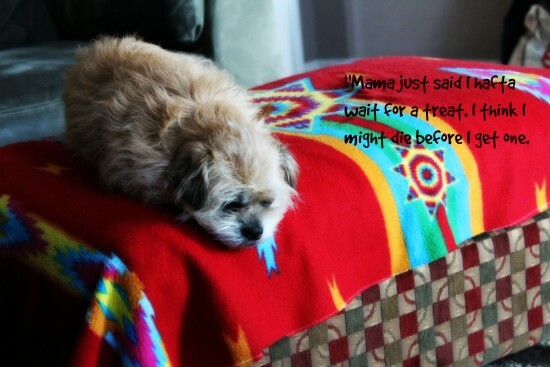 Mama just said I hafta wait for a treat. I think I might die before I get one. Dog humor can be subjective, unless it’s about treats. All dogs know that you don’t mess around with their treats. Especially Chewy. So maybe it’s just my house and critters, but the humor is a little off. Legolas here has the best sense of humor. 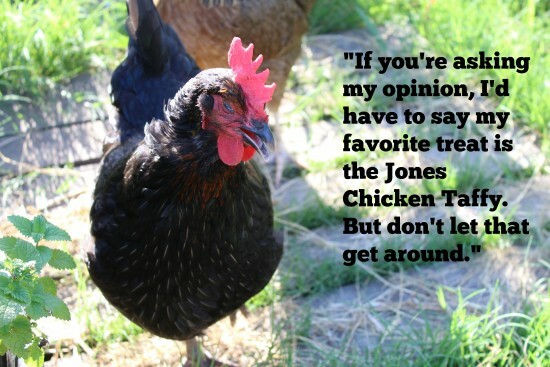 And she really does love the Jones Chicken Taffy. Honest. And because y’all might be interested, this is my mom’s latest artwork. My Chewy in a top hat! 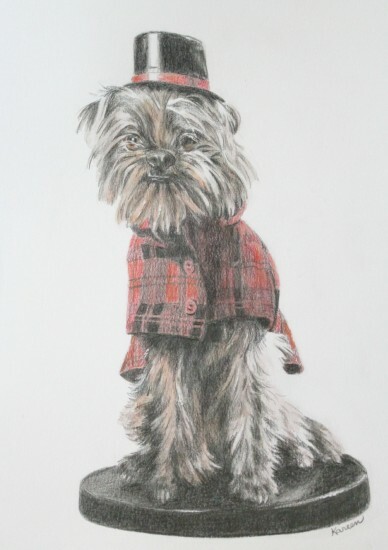 Now is a great time to contact her if you’d like a custom drawing of your own dog or critter. Or even kid. So go off, now, and enjoy your Labor Day weekend! Look for me here again on Monday – it’s tough to let a Funny Bone Monday slip by without a post! 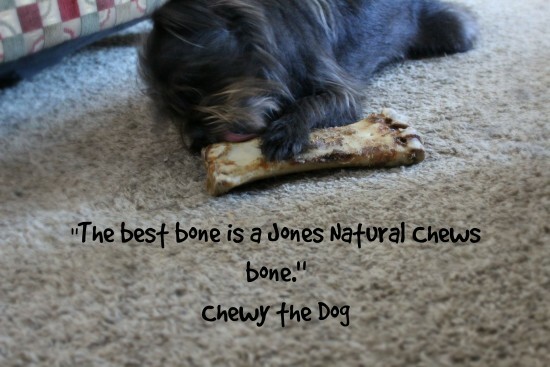 And definitely pick up some extra Jones Natural Chews for your dog this weekend. Dogs need to celebrate, too!